More than three decades after the first Ogre computer game, we are rapidly moving toward the launch of a brand new and definitive one. 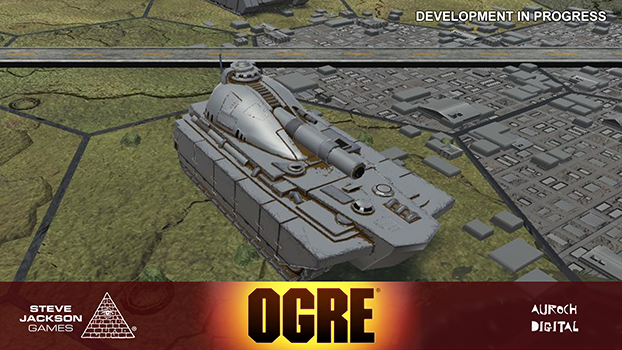 This is one of the most anticipated releases during this 40th Anniversary of Ogre. Auroch Digital has been hard at work developing this game, and it shows. Here are some screen shots courtesy of Auroch. Please bear in mind that these early renderings don't represent the final product. Screen 1 is a direct capture in-engine, so there's lots of extraneous user interface that won't be present in the final game. 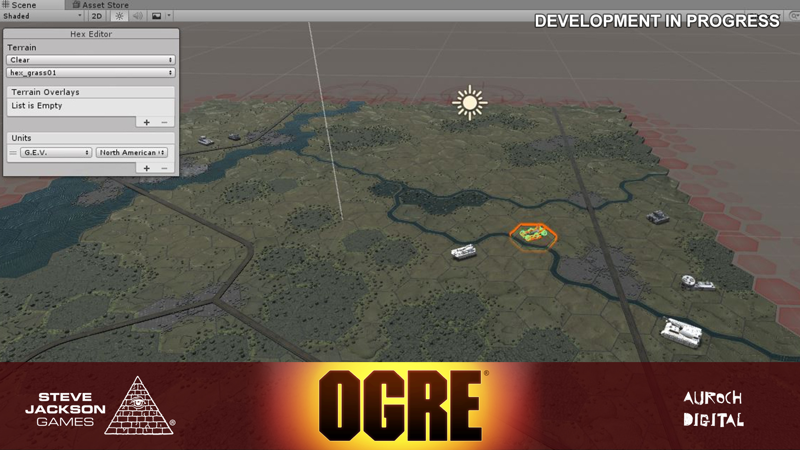 The menu you see is the tool we use to configure the maps, as well as the terrain and the units in play. The small sun icon depicts where the light source is located; the neon colors on the unit simply show that it is currently selected; and the straight vertical line shows where the game's camera is pointing. These won't be in the final product. Screen 2 is a model in the game, though it doesn't have its outer texture yet . . . that's why it's all metallic. Think of this stage as a base coat on a miniature that will then be painted to add its faction color. Screen 3 is an image Auroch has not released before, of a unit that will be available in the full game. Auroch is now well past these images in the creation of the game. 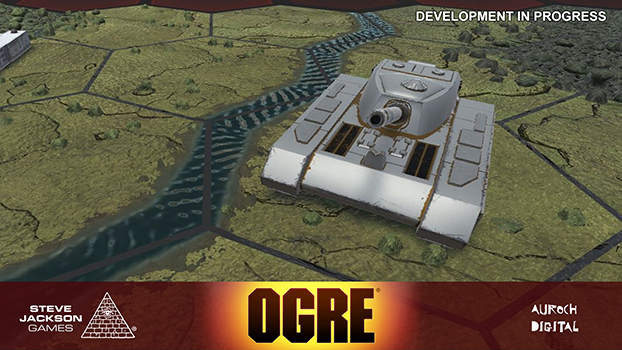 We hope to share more in the near future as they continue development, so please make sure you follow us by subscribing to our Ogre News email list and watching for updates on our dedicated forum.